Kristen O’Grady, director of creative arts therapy, and Stephanie, a resident, perform Phillip Phillips’ “Home” during Cardinal Dolan’s visit to the Elizabeth Seton Pediatric Center in Yonkers March 28. Sophie, a 13-year-old resident, receives aquatic therapy from physical therapist Allie McNamara as Sophie’s mother, Renee Kelly, looks on. Pat Tursi is hoping a Lenten prayer is answered by Cardinal Dolan’s visit to the Elizabeth Seton Pediatric Center in Yonkers March 28. Ms. Tursi is the CEO of the nation’s largest post-acute care center for medically complex children with 169 beds, including 65 for children on ventilators. Fifty-two residents will turn 21 by 2024, and they will no longer be eligible for care in the center once they turn 22, according to state regulation. Thirty percent of the residents die within 14 months after aging out of the facility because of lack of long-term care options meeting their specialized needs, according to a release from the center sponsored by the Sisters of Charity Ministry Network and supported by the St. Elizabeth Seton Children’s Foundation. Ms. Tursi and center officials are seeking to respond to this crisis by building a center, for adults on an adjacent piece of land, a project that will cost $45 million. “We need to get a lead gift to start out the campaign, and that’s what we’re really seeking,” Ms. Tursi told CNY. “We’ve gone to select foundations who have a special heart about the work we’re doing, the children and their needs. This is our Lenten prayer to get that lead gift and move forward. Ms. Tursi said two residents are turning 22 this year, and the staff is working to keep those two in the center for treatment. “We will not discharge them if they’re unable to thrive in life, survive and have the quality care they have here,” Ms. Tursi said. Renee Kelly was watching her 13-year-old daughter Sophie receive therapy in the Aquatic Therapy Center. “All of the therapies expose her to different things she would not be exposed to at home,” said Renee, a parishioner of St. Joan of Arc in Jackson Heights, Queens. Cardinal Dolan visited the Aquatic Therapy Center on his tour of the facility, which included stops at the John A. Coleman School and St. Elizabeth Ann Chapel. The tour followed a meeting with residents, their families and staff in a boardroom. The cardinal was presented with gifts, including a handmade card. 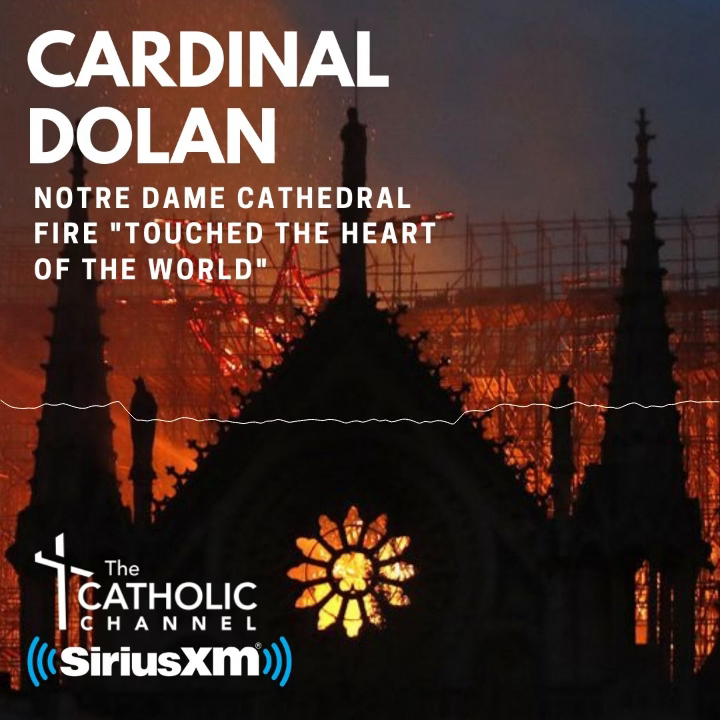 Cardinal Dolan was joined by retired Auxiliary Bishop Gerald Walsh; Father Arthur Mastrolia, pastor of St. Anthony’s parish in Yonkers; and Msgr. Kevin Sullivan, executive director of archdiocesan Catholic Charities. “The visit was just magnificent,” Msgr. Sullivan said. “It was an example of again as Cardinal Dolan would say the love of Jesus reaching out to so many different types of people. Cardinal Dolan was present for the groundbreaking ceremony for the center, which opened in 2012, and officials hope that he will return. “It was an amazing day of grace, joy, beauty and love,” Ms. Tursi said. “He reaffirmed what we sort of know in our hearts, but it’s really great for our cardinal to come and see our children and families, to bless them and to speak about the wonderful work here, the love of the families to their children and the importance of our mission.